Clothes is the necessary in our daily life for human beings. There are lots of styles of clothes that we can choose to wear. So does for the characters in blade and soul. Elite Initiate Uniform is one of the faction uniform, everyone wants to wear it cause it looks very beautiful. But it costs too much for us. Today, i would like to talk about Elite Initiate Uniform with you. The Contract Fee is 100 Blade and Soul Gold, 1500 Soulstones, 100 Faction Insignias, and 20 Naryu Silver's. The 100 Gold is whatever, let's convert the 1500 Soulstones into Gold Value. Right now each Soulstone is about 35 Silver which is about 525 Gold (Rounded).100 Faction Insignias have no real gold value as they cannot be traded but your clan can grind faction dailies and get these quick. The Naryu Silver's can be found on the Market and each has a cash value of 90 Silver to about 1 Gold each. For sake of rounded let's just say they are 1 Gold each so you need about 20 Gold for those. So for Contract Fee alone your looking at around 645 Gold. That is if you buy everything you can off the market. For the Ingredients you need 500 pieces of Fabric, 40 Moonwater Valor Stones, 500 Moonwater Tears, and 30 Misty Woods Refined Cerulean Insignias. Let's start off with the Fabric! First thing new players read when they see Fabric is that the description says " Acquired from Salvaging Outfits". Easy enough right? So pretty much what it is telling us to do is get some outfits and use the salvaging feature in the Inventory. Wrong! You cannot salvage outfits that you get from Spin the Wheels, Quests, Bosses, Dungeons, etc. etc. So how can one get a salvageable outfit? Currently you can only salvage CERTAIN types of outfits from the Hongmoon Store. So let's continue! It cost about 1,200 NCoin's to buy an outfit. Which the CASH value for 1,200 Ncoin is $15. Now how much Fabric (not going to include High Quality Fabric as it has nothing to do with the item I am talking about) do you get from Salvaging an outfit? I tried it and others have done the same. You get 1 to 2 Fabric. So just to be generous here lets say you get about 2 Fabric for every $15 Dollars worth of NCoin. Grand total of USD needed to obtain 500 fabric is = $3,750. If you want to obtain these amazing Uniforms be prepared to spend $3,750 worth of NCoin to hopefully get enough fabric. You will need (give or take)795 Gold as well. If we convert that to a cash value (using an average cash value from the scummy gold sellers) then you are looking at around $1,515 USD. 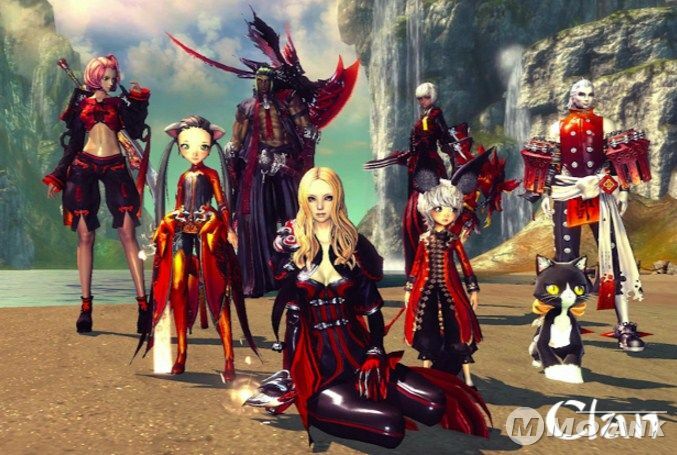 So if you dont have enough Blade and Soul Gold, you can buy some from us and obtain this beautiful uniform, you will looks amazing if you wear Elite Initiate Uniform.